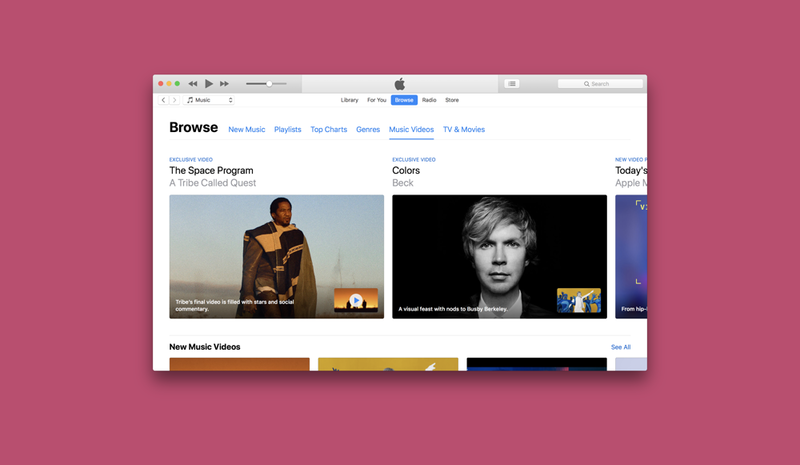 Apple has made a small change to Apple Music by adding a new ‘Music Videos’ section for subscribers to the service. Little do people know that apart from songs, Apple Music actually hosts video content as well. This includes shows like Planet of the Apps, Carpool Karaoke and also music videos. But of course, finding music videos is a bit of a pain as there was no dedicated section for it, and users have to find content manually, until now. If you head over to Apple Music right now using your iOS device or even iTunes on your computer, you’ll see a new Music Videos tab in the Browse section. Once here you’ll be greeted with the latest releases along with popular songs and whatnot. Basically, if you’re a fan of music videos, then Apple Music has everything covered in one place in a nice and tidy interface. I would highly recommend giving the new section a shot. It really confuses us why Apple did not highlight videos like this before. Now that it has done it, users can now indulge in far more diverse more often than before. If you haven’t subscribed to Apple Music right now, then you can do so for a fee of just $9.99 on a monthly basis. There’s also a family plan for $14.99 that allows multiple users of a family to share a single account. That’s not all, if you subscribe for an entire year, Apple will only charge you $99. Are you a student? There’s a discount for you as well, with a monthly subscription costing just $4.99.